trial version and see how you can enhance your digital photos, desktop or web site images! In this section you can see some of the awards that our application has received from different web sites. FindMySoft created a Quick Look Video showcasing Photo Frame Show's menus and features and also wrote a Review highlighting important elements of the application. Your testimonials-comments are important as they provide us with insight as to how we can serve you best. Here you can read some testimonials-comments provided by Photo Frame Show users. "I purchased Photo Frame Show a few months ago directly through you guys and I just wanted to say "HATS OFF" and "KUDOS" to a wonderful little tool that is sooo simple to use and very pleasing on the eyes. Way to go. I look forward to framepack #4!!!!!!!!!" "It's a great example of what user-friendly programs are all about and the perfect tool for adding lovely frames to our photos. Well done!" "Hi, thanks for the great tool! I purchased Photo Frame Show a few days ago and created an amazing desktop view. 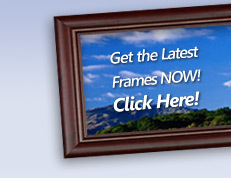 I framed all my photos in just minutes- It's great!" "Easy and fun to use program, fast and resourceful customer service. Good combination!" "Hola gente de Photo Frame Show, cordial saludo. He instalado este programa y pues esta genial. Los marcos son bonitos y mis fotos han quedado espectaculares!" ...these and many other testimonials-comments that we have received give us the encouragement and energy to create the best possible software for you.